Christine has handled over 1,000 sales and rental transactions throughout her career. Her listing was featured in DNAinfo. 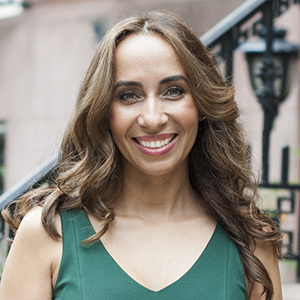 Christine was born and raised in New York City and lives on the Upper East Side. She began her career in real estate as an investment buyer. Over 15 years ago, she realized that there was a great need for knowledgeable, and attentive brokers and started to advise other buyers like herself. Christine joined Compass in November 2013 and brings not only her experience but also expansive knowledge of the city and its landlords, sellers and other brokers. Leader of the Mariani Team, she works closely with her team members to advise their clients on their home decisions whether it be leasing their first apartment in New York City or optimizing the value on a real estate investment. Christine studied Psychology and Physics at Hunter College and in her free time tutored trigonometry and chemistry. She attributes her success today to insights she learned then. A perceptive listener and dedicated advisor, she strives to grow lifelong relationships with each of her clients. In her free time, Christine enjoys spending time with her family, fishing, and traveling.